After quite a few years in the interactive wing of BBC Audio & Music, creating and maintaining digital products and services for the BBC's national radio stations and music output, I'm moving on. It's been a truly exciting, and sometimes frustrating journey, with the department growing from a tiny handful of people in '99 to over a hundred people (technical and editorial combined) at it's peak. There have been many highlights for me, but here are just a few. 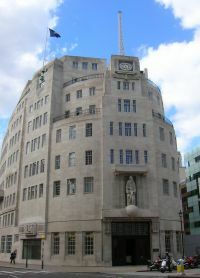 In the early days it was working with Hugh Garry and Helen Pendlebury at Radio 1, making it up as we went along but seeing the huge potential of combining linear media with the web; covering big events such as Glastonbury and Big Weekend (or One Big Sunday as it was then), and introducing live streaming and incoming SMS to network radio. In the middle period my main memories are of developing the idea for the original BBC Radio Player (offering on-demand and live radio) then actually making it happen with Dan Taylor 6 years before iPlayer; working with Simon Nelson, Simon Hopkins, Dan Hill, Gill Weekes and Ayesha Mohideen during an incredibly intense period of development of BBC online; launching 5 new digital radio stations across DAB, web and DTV; being exposed to the innovative thinking of Tom Coates, Matt Webb and Paul Hammond; appointing Dan Heaf then seeing him do great things at Radio 1, and helping Justin Spooner do creative work at Radio 3. In more recent years it was working with Matthew Shorter and Tom Scott on the strategy and plan for digital music at the BBC, then seeing further big chunks of that delivered with Andy Puleston, Matt Coulson and Ant Smith; making the BBC's podcast service happen with Sarah Prag, building the music events strategy and delivering it with Andrew Barron and later Tim Clarke; working with Ben Chapman, Chris Johnson, Huey and Sam Bailey to grow the Radio 1 site to be the most popular radio site in the UK and probably anywhere; learning about the mobile opportunity with James Simcock, getting Now Playing @6music commissioned, and lastly working with John Moran and Peter Bradbury to get the rights to allow us to do much of the above. This is just a snapshot, it's not meant to be comprehensive. It is, of course, all about the people you work with, and I've been lucky enough to work with some amazing talent and made some great friends. If I could change one thing, it would be to have argued even more strongly for audience needs over organisational priorities. Not always easy to do in a large fairly political organisation, especially one which has such a long history of traditional linear media brands. For now though, it's time to move on to work in a different environment. More on that soon(*). * i.e. when I know!